Dieses schöne Ferienhas liegt auf dem 750 ha grossen Weingut Campalli, auf dem der berühmte Wein Chianti Classico angebaut wird. Die sehr netten und hilfsbereiten Besitzer leben im Schloss Campalli, das ca. 400 Meter vom Ferienhaus entfernt liegt. Der rundum Blick schweift über die Hügel, Weinberge und endlosen Olivenhainen. An einem klaren Tag kann man die Türme von San Gimignano in der Ferne sehen. Corte di Campalli ist ein eindrucksvolles Bauernhaus aus Stein aus dem 16. Jahrhundert. Es leitet seinen Namen von dem bemerkenswerten Innenhof, um die es gebaut wurde. Das Anwesen wurde vor kurzem von den Eigentümern restauriert, die authentischen traditionellen Materialien der Region verwendet und mit allen modernen Annehmlichkeiten ausgestattet. Die Innenräume ist besonders hell und geräumig, mit Türen zum Hof und Garten. Führungen durch das Eigentum und das Schloss, einschließlich der Weinprobe, können ebenfalls organisiert werden. Bisherige Gäste haben besonders die Führung der Weinkeller von den sehr hilfreich Eigentümer genossen. Im September, einer der schönstem Monate in diesem Teil der Toskana können die Gäste auch bei der Weinernte helfen. Obwohl es in einem ruhigen und abgelegenen Ort liegt, ist es nur 7 km von einer Autobahnausfahrt entfernt und ist damit ein idealer Ausgangspunkt für Ausflüge ins Chianti-Gebiet und die wichtigsten Städte der Toskana wie Siena, Florenz, San Gimignano, Monteriggioni. Haushilfe: 9 Std. / Woche. 12m x 6m. Eingezäunter Pool. Großes Wohnzimmer mit gewölbten Decken, große Küche / Esszimmer, die sich zum Innenhof hin öffnen, der mit einem Esstisch und einem Ruhebereich ausgestattet ist. Fernsehraum (mit Sat-TV); Doppelzimmer; Badezimmer (Dusche). Vom Hof aus kann man auch einen Raum mit Holzofen und die Waschküche erreichen. 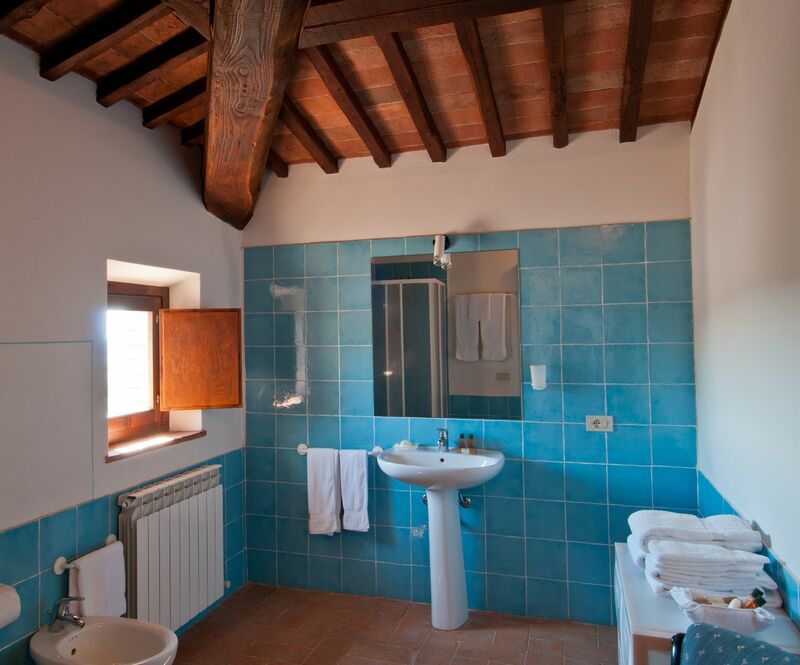 Hauptschlafzimmersuite mit eigenem Bad (Dusche); 2 Zweibettzimmer, Badezimmer (Badewanne); Hauptschlafzimmer mit Badezimmer en-suite (Dusche); Wohnzimmer mit Kamin und Klavier von hier aus erreichbar ist der Patio mit Tischtennis. In einem separaten Flügel befindet sich das Hauptschlafzimmer mit Sitzecke und eigenem Bad (Dusche), das vom Erdgeschoss aus über eine separate Treppe erreichbar ist. The home was everything we had hoped for and more. 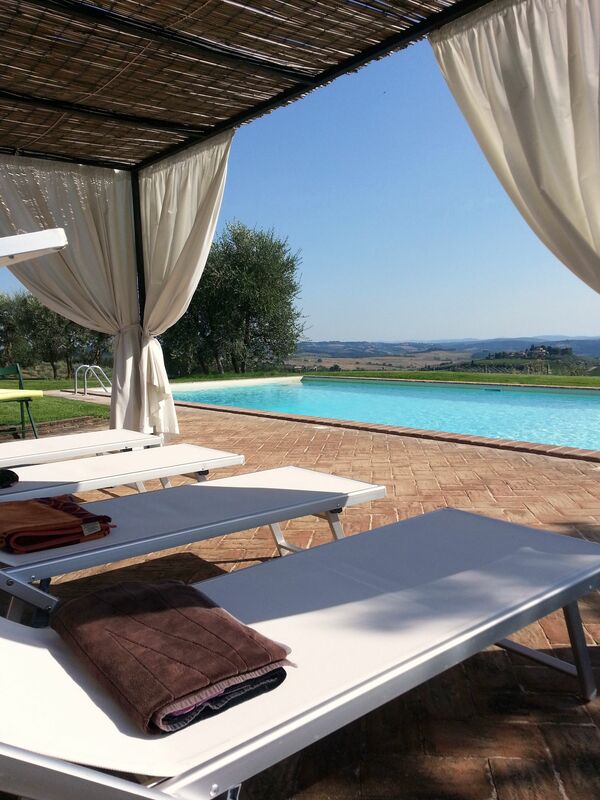 Sitting by the pool each evening watching the gorgeous Tuscan sunset was an absolute highlight and provided for some incredible pictures. The home was large enough to easily accommodate the 11 people in our party, the furniture was comfortable, and the large kitchen and outdoor grill area were a hit for the chefs in the family. I cannot say enough good things about the owners of the home. They were perfect hosts; guiding us with suggestions on where to eat, what to see, and providing us with a personal tour of their vineyards during harvest time - a fascinating experience. I highly recommend this home for others and hope to one day return with our family. We had the most amazing experience! There were 6 of us and we had so much room. The landscape was breathtaking as was the comfort of the entire villa. 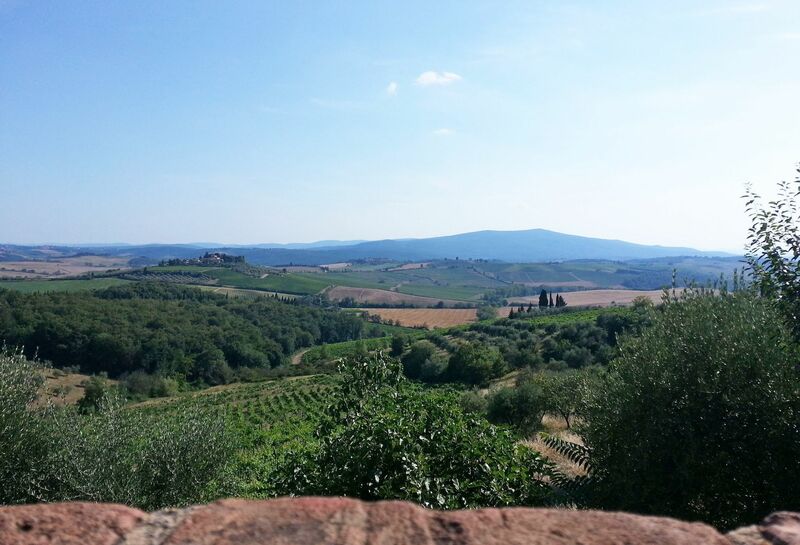 We did day trips to Sienna, Pienza, Lucca and Montalcino. Simionetta was so helpful in giving us info regarding buses trains and things to do. Our daughter got engaged while we were there right on the property overlooking the vineyards and olive trees. La Corte di Campailli was a wonderful family vacation ! We all had a super time and found the house very comfortable and the swimming pool magnificent. 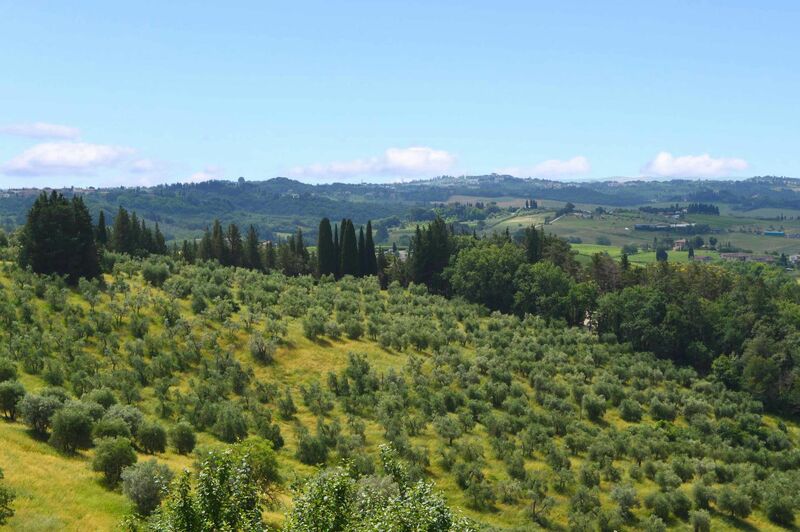 There cannot be a more beautiful place in Tuscany — or anywhere for that matter. 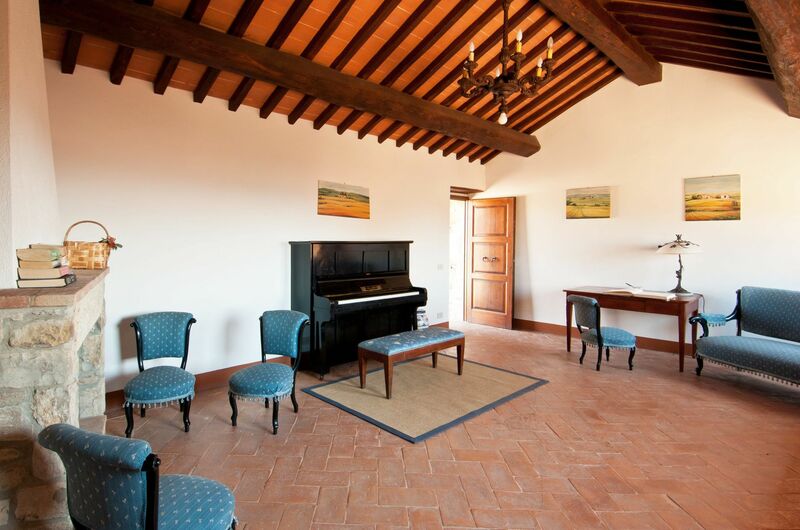 This historic property is surrounded by hills and vineyards that one sees in paintings of Tuscany. Our whole family (10 of us] stayed comfortably in the large accommodations. 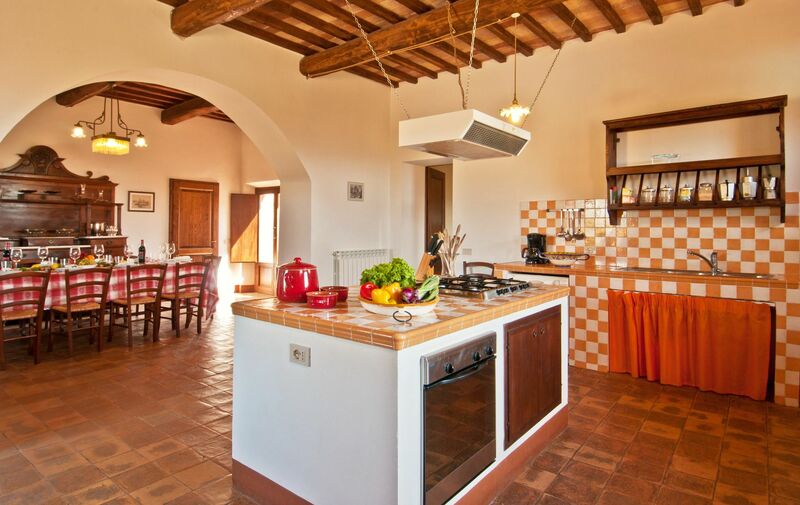 The common areas and courtyard were inviting and the kitchen afforded plenty of space for large dinner preparations and even cooking lessons. The pool was a great place to gather at the end of a long day of sightseeing in nearby towns. The hosts could not have been more welcoming or available for anything we needed. Most interesting was the tour of the villa vineyards and 10th century chapel. We have rented a number of villas, but they were no comparison to this one. We will be back again and again. The villa was simply amazing! Gorgeous views, beautiful pool, lovely bedrooms and common rooms and the most beautiful peaceful setting. Our hosts were wonderful! So friendly and informative and helpful! 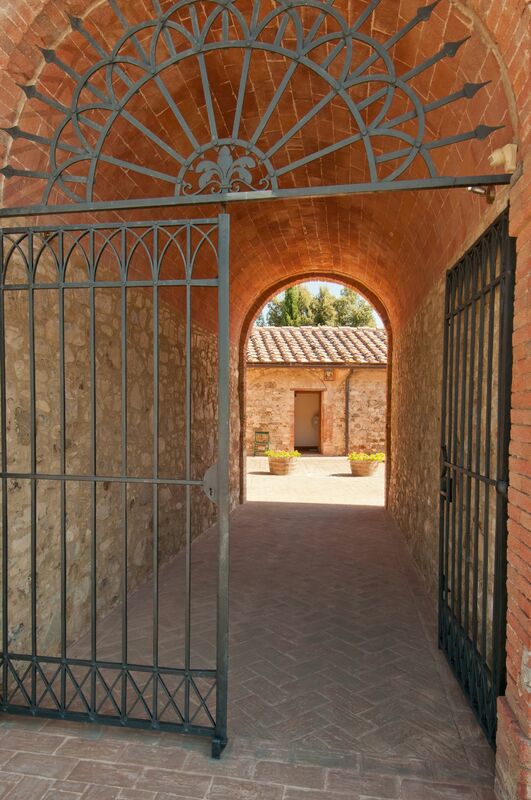 We loved our stay and can’t say enough good things about La Corte di Campalli. Salogi, the company handling the property was equally wonderful. Always communicated with me and answered all of my questions. Super helpful and I would highly recommend them to anybody! Hard to describe the wonder of this house. It's a time travel. Exceeded our expectations. Simonetta's proportions were one of gentleness and impressive education. We highly recommend this home for anyone who wants to make an unforgettable family trip. The location, structure, services, everything note 10 !!! 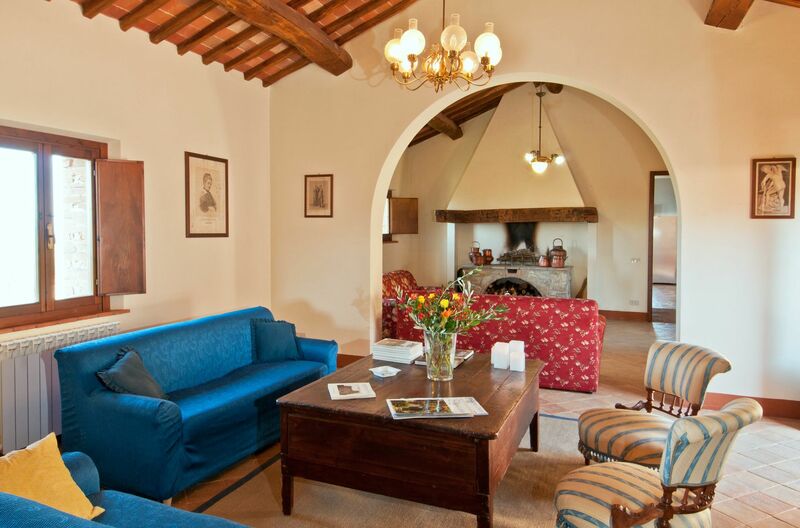 The only thing missing is that we don’t have another stay reserved…yet! From every window we look out – to every walk/drink we take we find beauty. Then the owners generosity of time and information – we realized the hospitality and kindness was just so spectacular! Our family came together in your villa and had a wonderful time. The baby loved the tractor ride, the young adults loved the beautiful pool and warm sun and the adults are all grateful for all of it. Fantastic time we had at your lovely villa. We will certainly be back for a longer stay. The pool treated us well as did the weather. Also, dinners served to us in the villa were tremendous! Thank you so much for your hospitality and sharing your beautiful country with us. 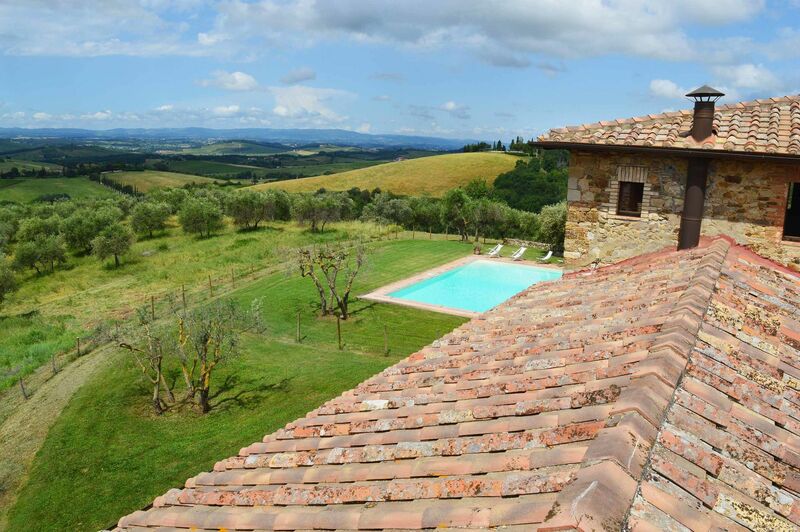 I am about to turn 70 and my lifetime dream had been a villa in Tuscany. This was everything I had dreamed of and more. The villa itself was simply breathtaking! I only wish I could have spent more time there. If you are looking for a villa that will take your breath away, this is the one for you. Sadly we missed the grape harvesting. They have a machine that goes up and down the rows and only gathers the perfect grape. Their wine is excellent as well. The hosts were the best. Very nice and quite helpful in making this visit one to remember forever. It is well located. 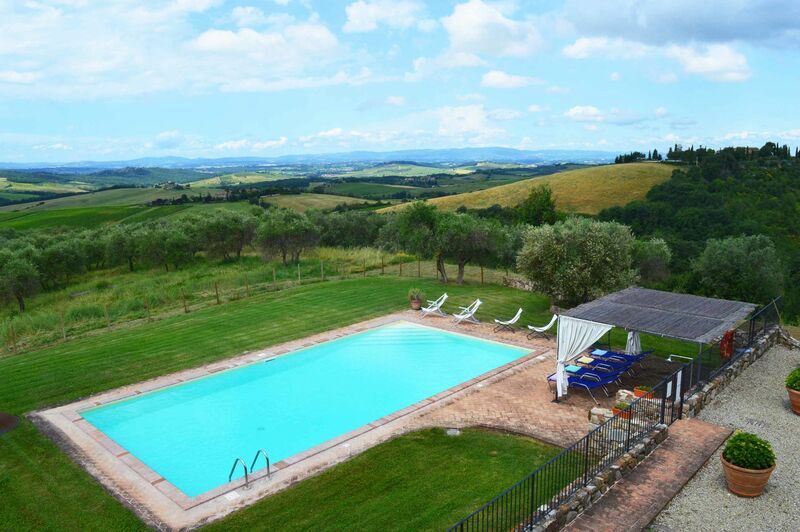 Close to Siena and Florence. Excellent restaurants everywhere. Wonderful, fun, sunset by the pool with a glass of wine simply perfect! 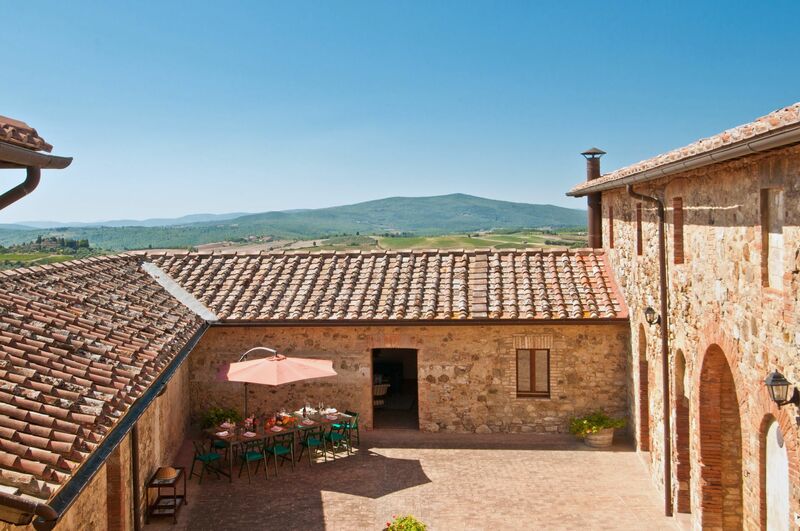 I'm sure there are plenty of lovely looking villas around Tuscany. Our own was beautiful but what made the stay excellent was the great office and cleaning staff. You felt so welcome and nothing was too much trouble. The ground floor room with disabled facilities was also excellent for an intergenerational holiday. 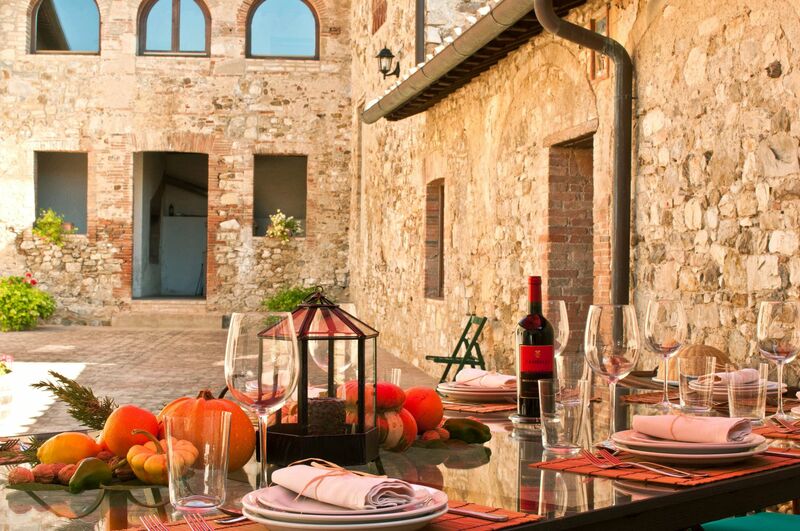 The villa is perfect for seeing the true Tuscan communities and every minute of the view is memorable. 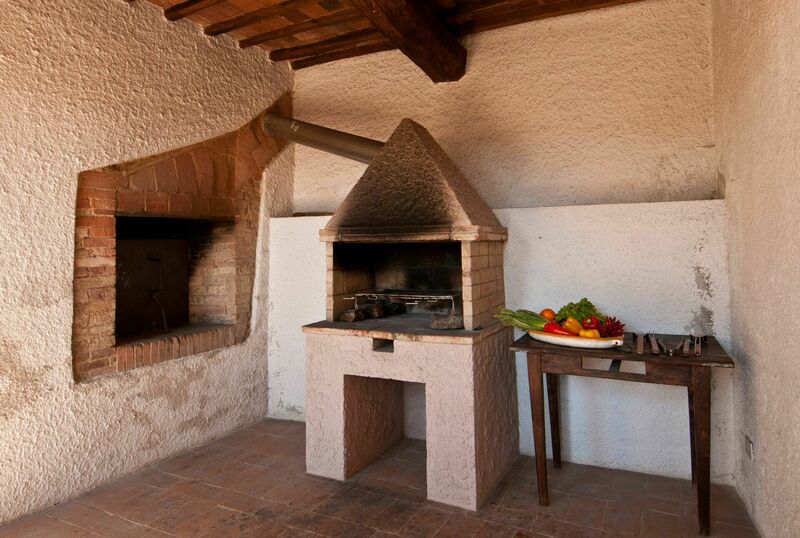 The local village of Castellina is the perfect spot to enjoy and is 10 minutes from the house. 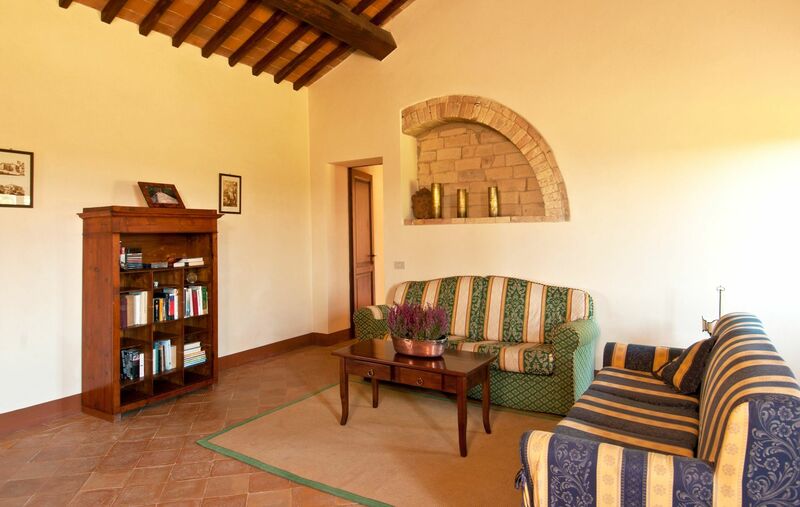 The villa is perfect for seeing the true Tuscan communities and every minute of the view is memorable. 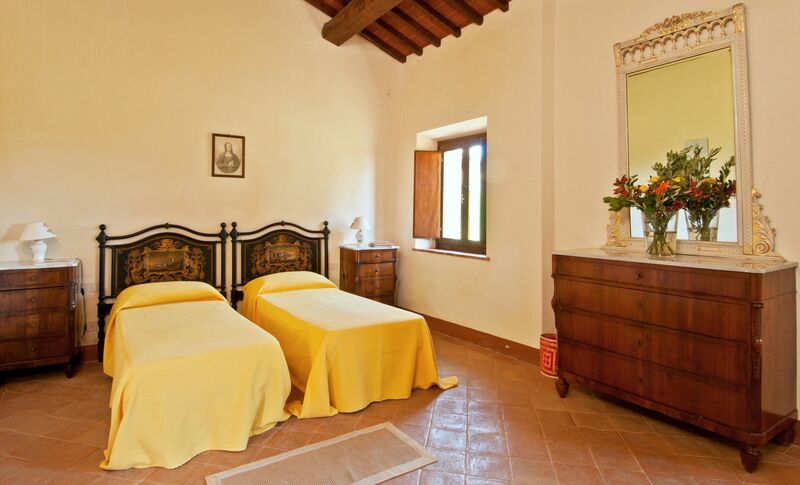 The local village of Castellina is the perfect spot to enjoy and is 10 minutes from the house. The only upgrades we would recommend would be to the mattresses and some larger pots in the kitchen. Overall excellent. Exactly the Tuscan experience we were looking for. The cleaning service was excellent. 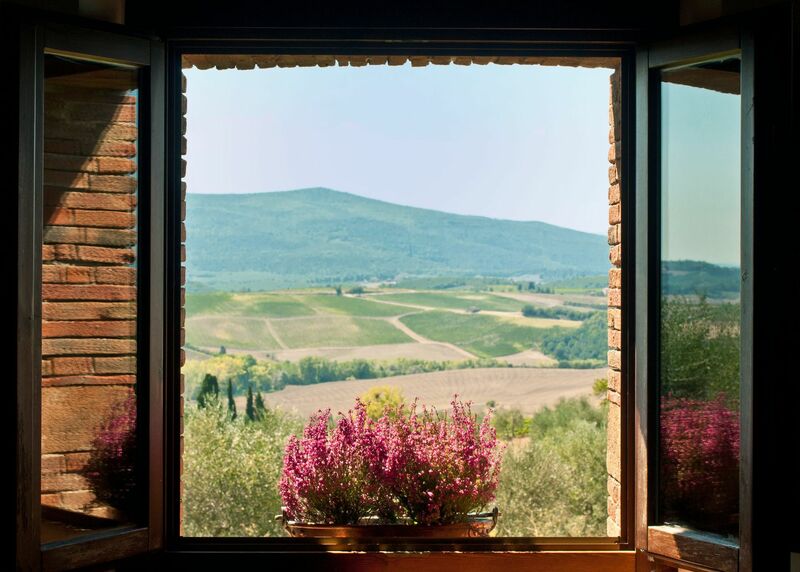 Amazing views from a property with lots of character and space Our stay at La Corte was wonderful. 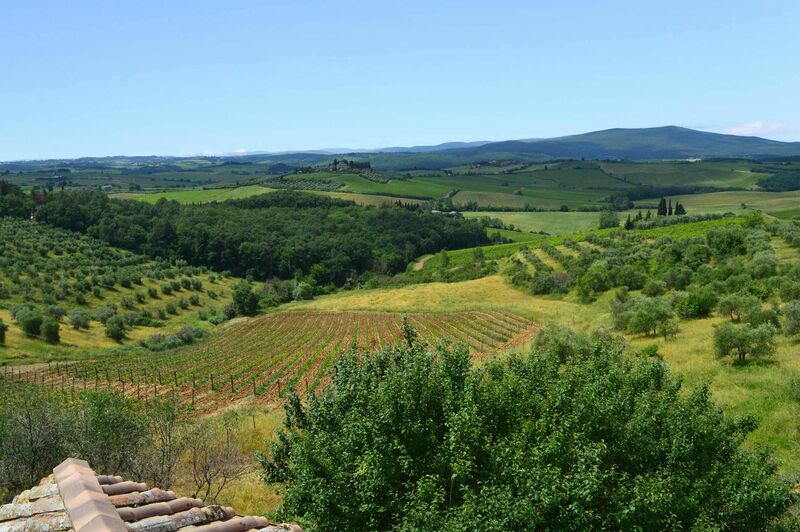 We very much enjoyed the views over the Chianti hillside from all the rooms within the property. The courtyard was a delightful setting for family meals and the spacious house was spot on for our group. The whole family loved the pool and had a wonderful time enjoying the spectacular setting around the poolside. 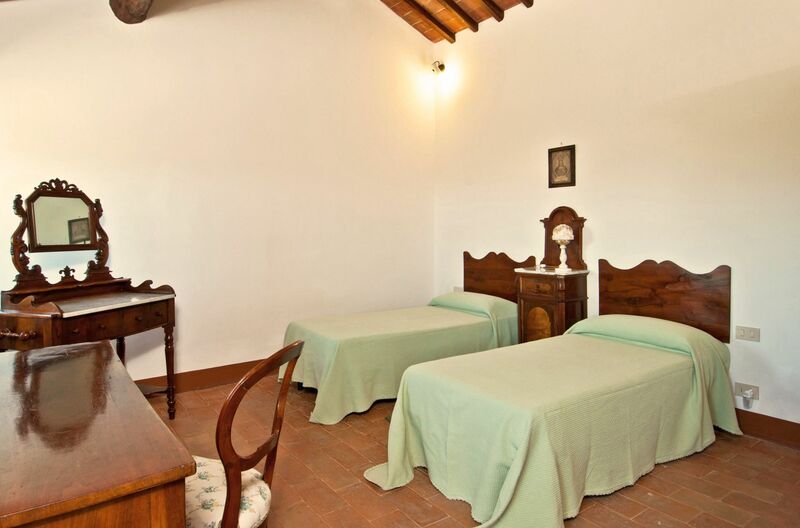 Simonetta was a wonderful host and did a great job in responding to our needs including sorting more comfortable outdoor seating for us as i requested when booking. 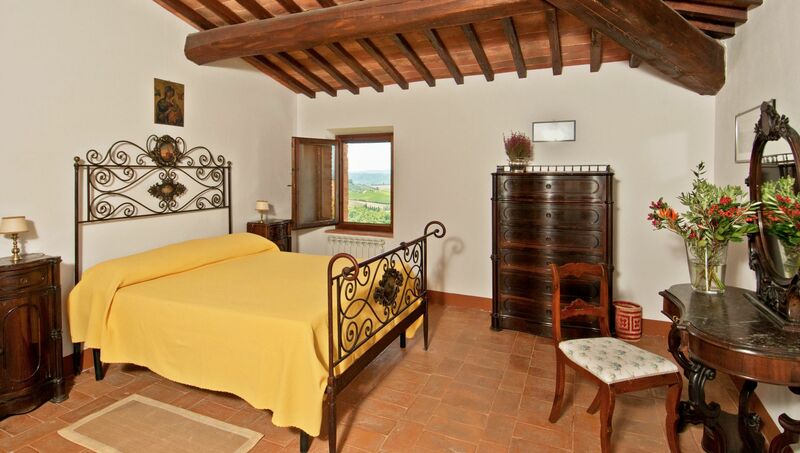 The property was exactly as described and her responsiveness and hospitality was superb. 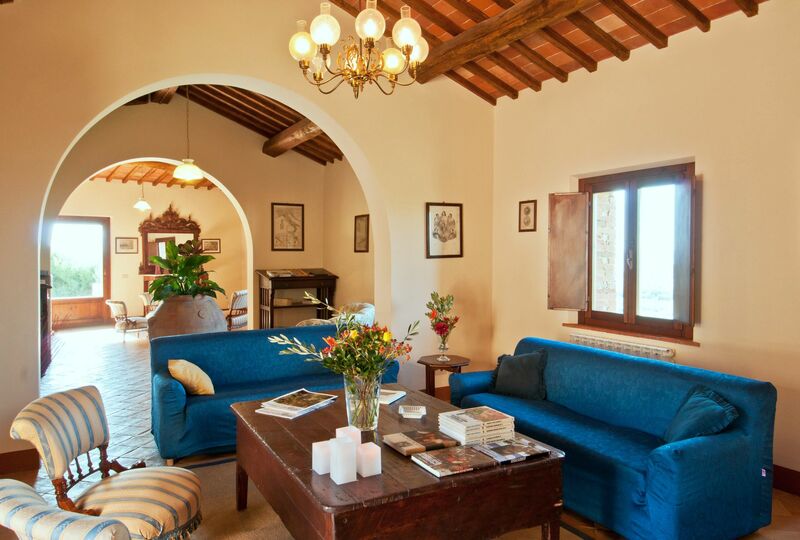 "Wonderful Villa" My husband & I were 2 of 10 friends that stayed at this beautiful villa for a week in September. Simonetta & her family welcomed us with open arms & wonderful cheese, bread & wine for our arrival. She was full of information about the history of the villa as well as practical information of the area which helped us get settled in quickly - groceries, restaurants, etc. She was always helpful & quick to respond to any questions we had. 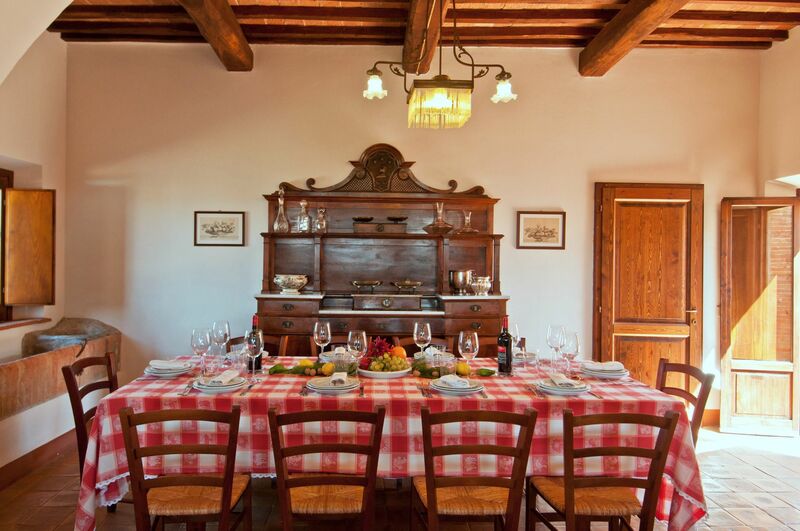 She arranged for an 'in house' dinner to be prepared for us - it was lovely - 40 Euros per person. 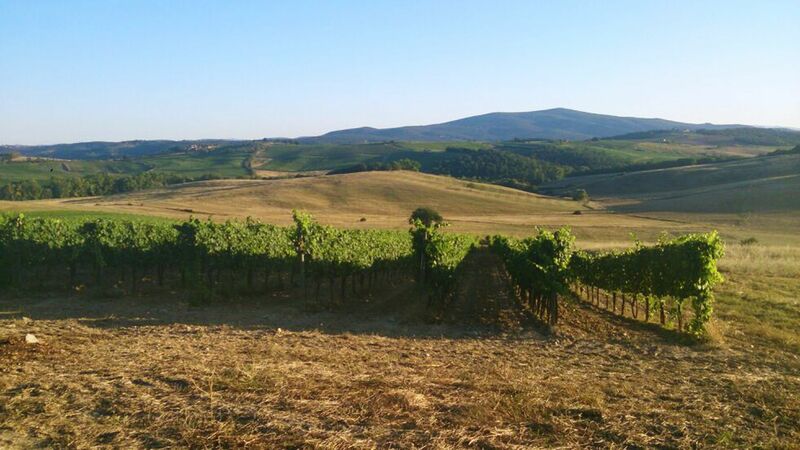 Also, since the villa is location on a working Chianti vineyard Simonette arranged for us to see the harvesting of their Merlot grapes & walked us through the wine making process. It was so much fun - great memories! 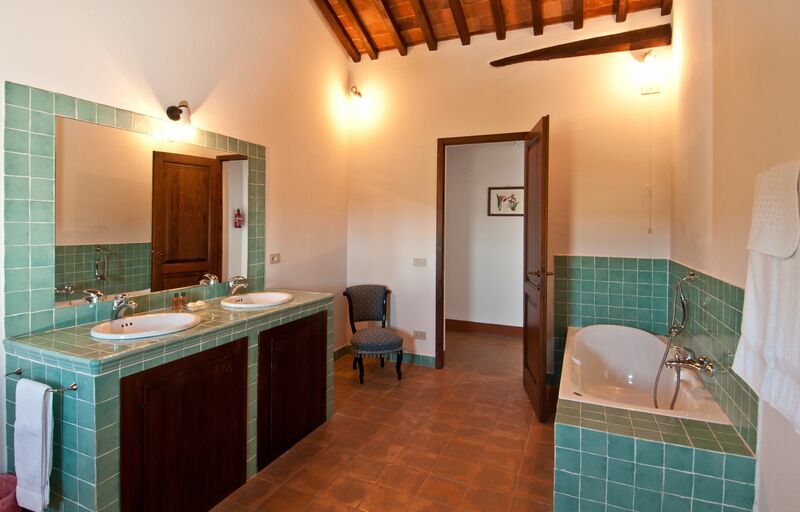 The villa itself is very spacious. No problem with 10 of us sharing the space. There was plenty of room for everyone. There are 4 living room/sitting areas! Kitchen / dining room is a wonderful area where we spent most of our time. There was cleaning service 4 days & towels replaced mid-week. Outside areas - lovely - wonderful views. Lots of parking for our 3 rental cars. We visited many of the Hill Towns in the area, Assisi, Florence, Siena, even Cinque Terre for a 1 day tour. 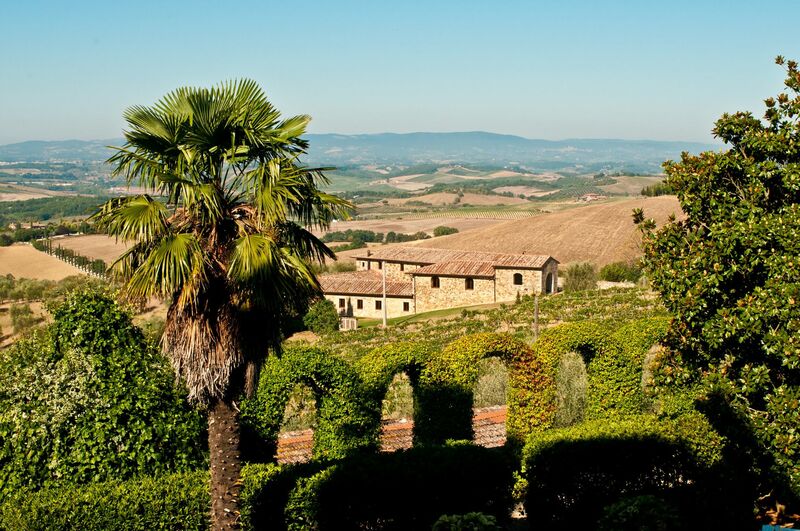 Very central if you want to be in the Tuscan Region. 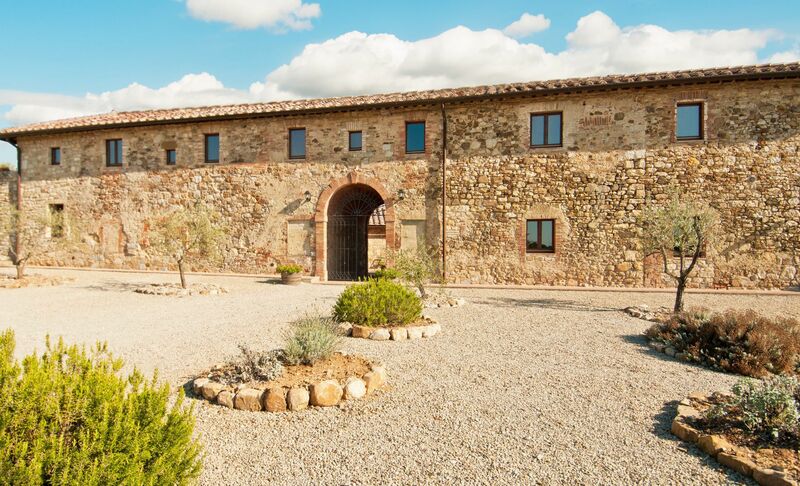 Needed to write up how amazing this property was... if you want a true tuscany experience this is the place to go!!! 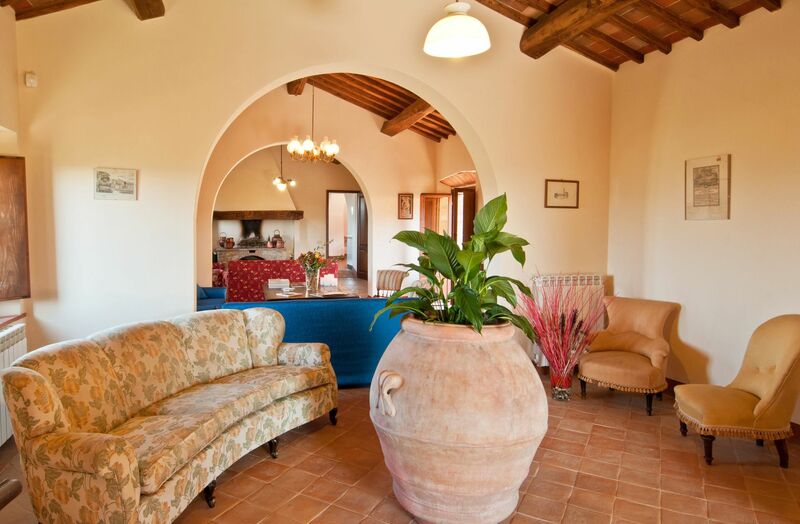 most outstanding property, surrounded with views to die for of vineyards and olive groves. It is a wine producing property, and the owner was kind enough to take us to the vineyards and took us through the whole wine making process it was absolutely outstanding. We were 12 people and the villa was totally accomodating, we actually never used half of the space it was spectacular. The owners Simonita and staff were extremely welcoming and saw to our every need. Would rate this as outstanding!!! 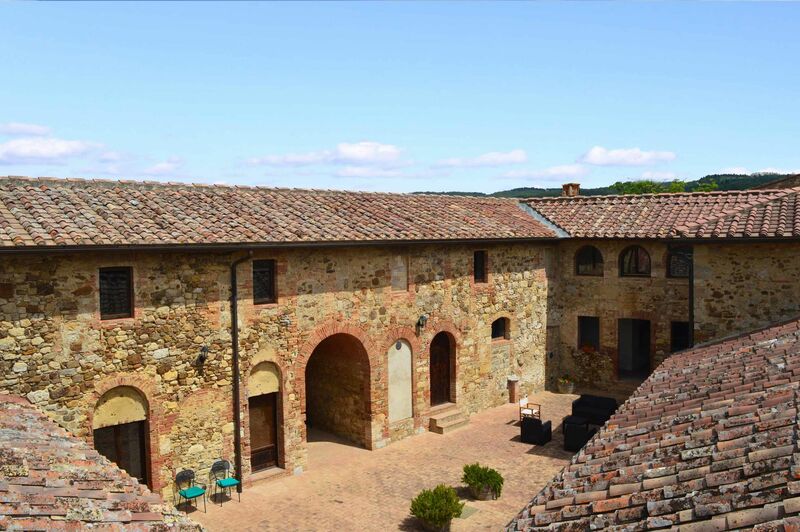 Besides the incredible spaces, bedrooms, antiques and the perfect pool, what you really have to understand is that this Villa is dead center to anything you would want to do in Southern Tuscany. 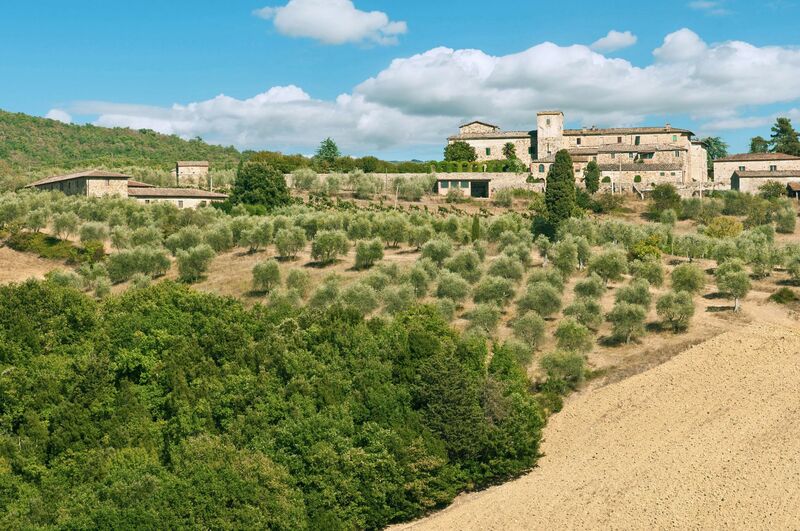 I defy anyone to find something worth going to that is more than 20km away, hop in the car and boom you are at any vineyard, any historic town, Siena, Brunello, you name it! Worth mentioning is that the owners are very kind and accommodating. Bring another family, this villa is huge. 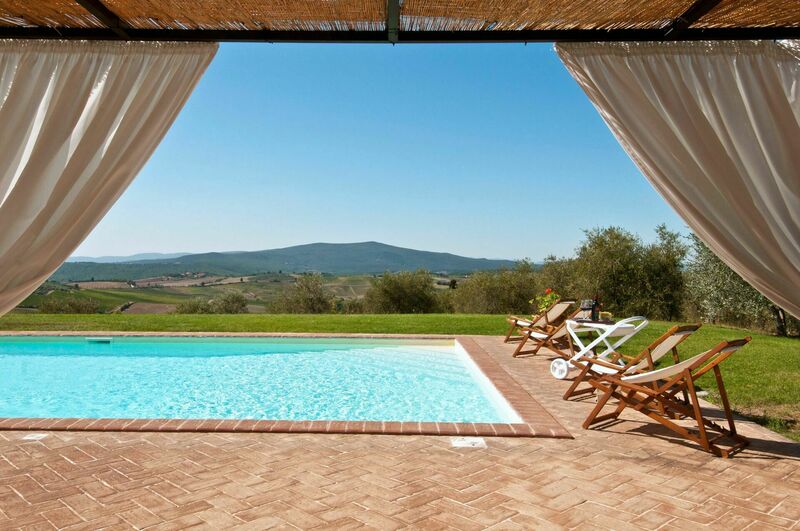 You cannot go wrong at this Villa! It more than met our expectations!!!!! Thanks for your help and good advice. Il Corte di Campalli was terrific, Señora Giani was a gracious and helpful host, and the villa was extremely comfortable. A very good choice. Well, we are all back from our vacation and everything was great! The house was really amazing, the property beautiful and the owners lovely. Thank you. We could not recommend this property more highly. The owners are wonderfully gracious and helpful. 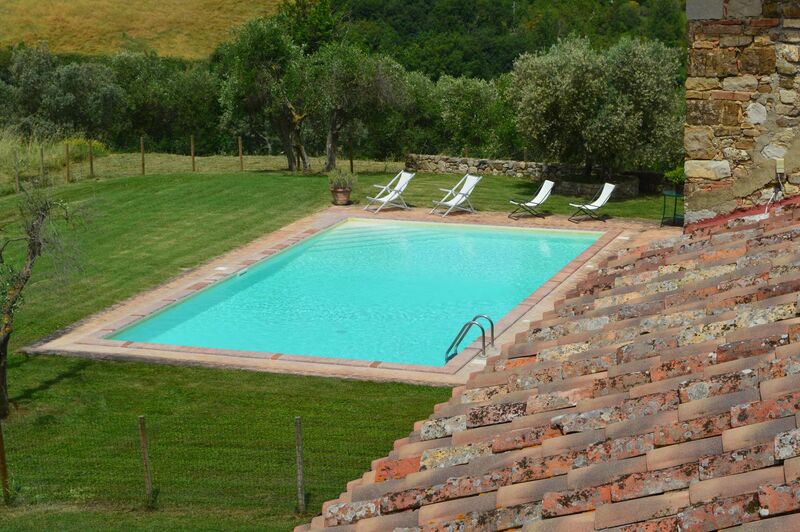 We have rented several properties in Tuscany and this was the best by far. The pictures do not do it justice. 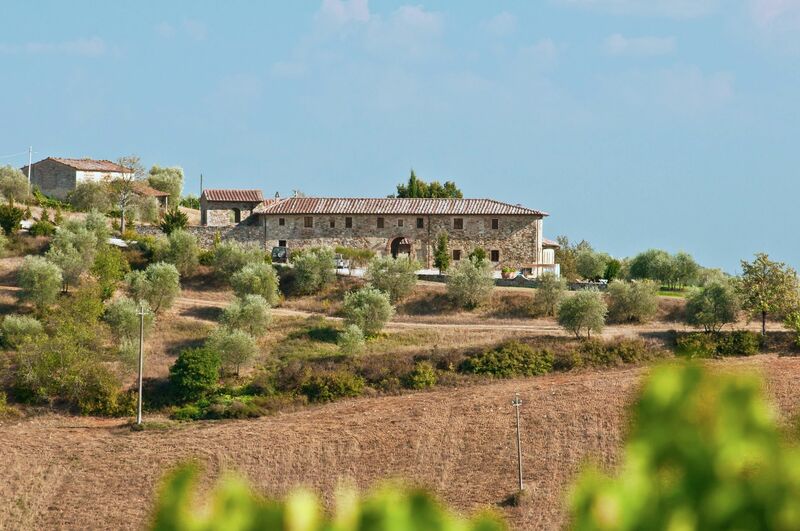 It is close to everything, yet far enough from the highway and Autostrada that you feel isolated. Be certain to schedule a dinner with the private chef. She was wonderful!! The wine from the estate is also fantastic! 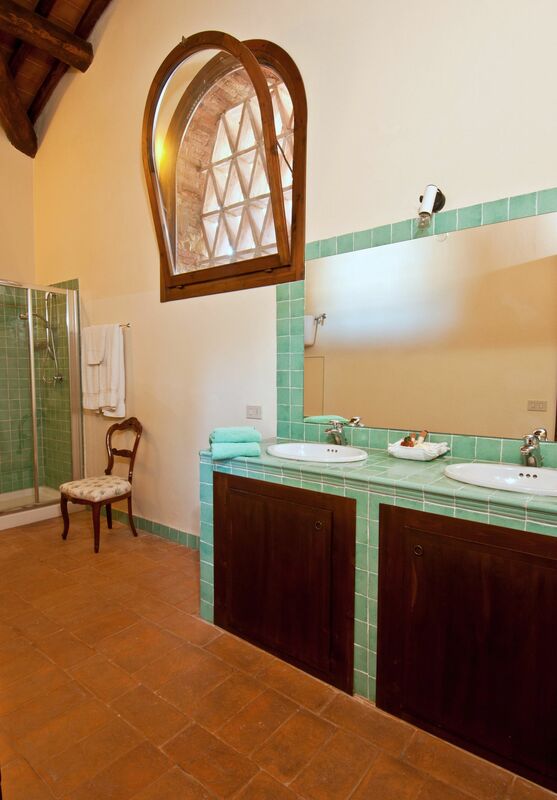 We were very pleased with La Corte, especially with the level of service provided by Simonetta, the owner. 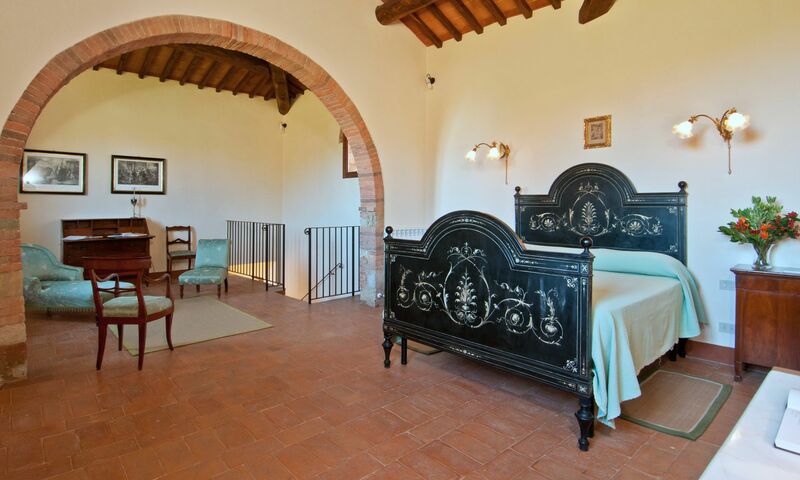 Comments are below -- Villa - wonderful vistas of surrounding olive groves and vineyards from all the bedrooms and living spaces! Ample room for 2 families, and we really enjoyed spreading out over the mulitiple living rooms. Dining room accomodated all 8 of us very comfortably, as did the outdoor dining table. Pool and lounge area had amazing view of surrounding hillside, with beautiful sunsets! The large grassy areas were also well used by all 4 of our kids. Configuration of bedrooms with ensuite bathrooms worked well for our group. 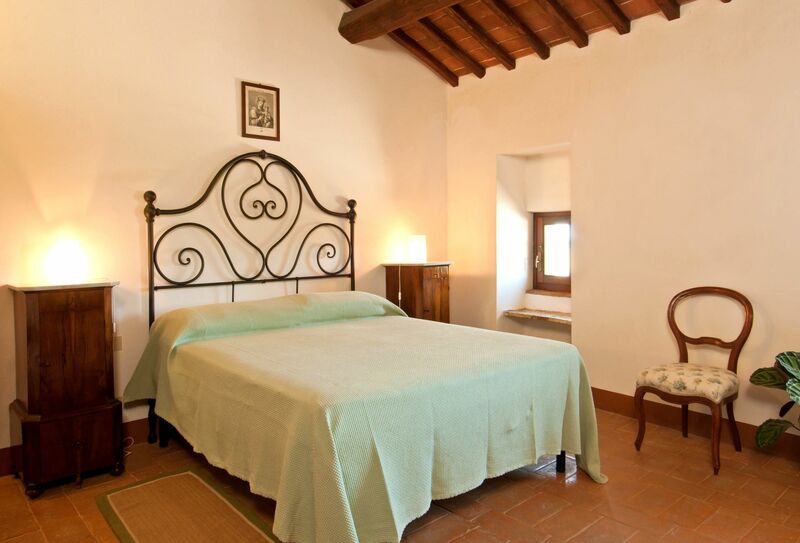 Simonetta - extremely warm, hospitable and accomodating to our needs. She also went above and beyond our expectations when our son (age 8) cut open his chin on the pool coping. She drove with us to the hospital in Siena, translated as we checked into the ER, took us to the pharmacy, brought ice cream to the villa to help cheer him up... I was so touched by her efforts! 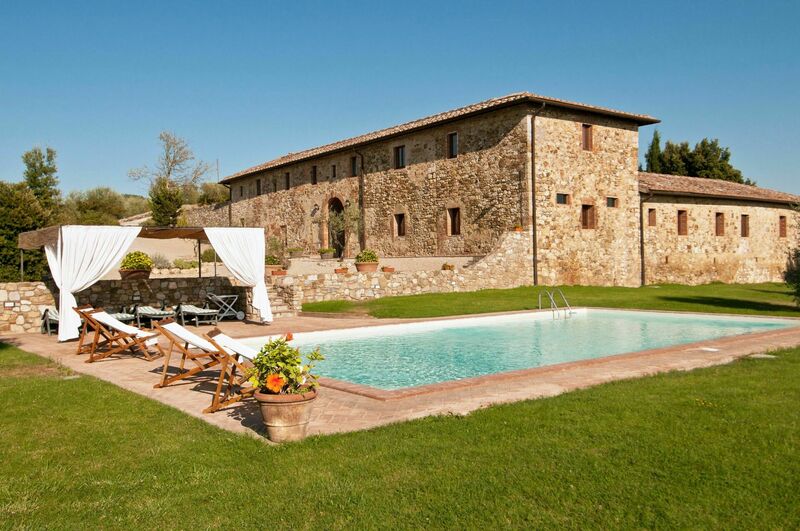 We would definitely rent this villa again on a future return trip to Tuscany, and would highly recommend it to friends.